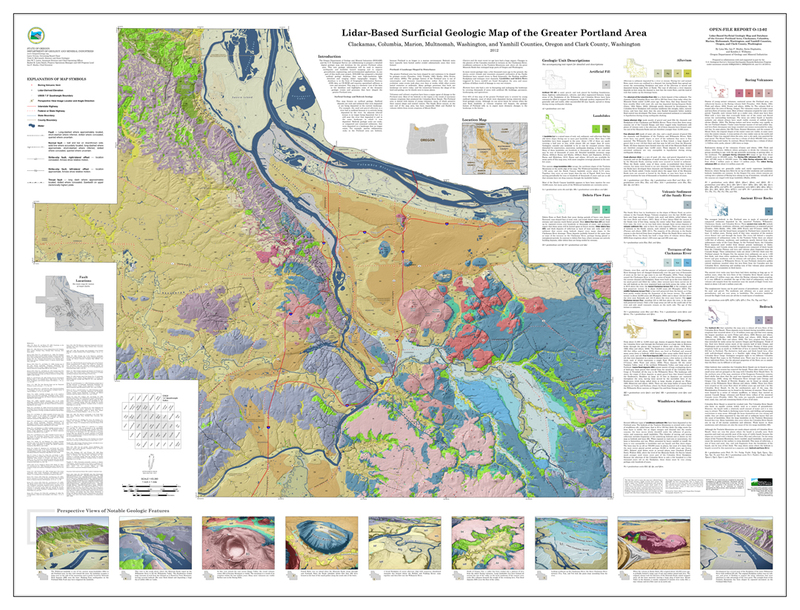 Project: In this lidar-based map of the Surficial Geology of Portland, 23 geologic units were grouped into 11 thematic categories. Each category was assigned a color scheme that the grouped units adhered to. The thematic categories were given small individual maps next to their descriptions in order to guide the viewer to their location in the main map. Faults and volcanic vents were also included as well as highways and political boundaries. Physical features were labeled and peak elevations were re-calculated based on the lidar data. 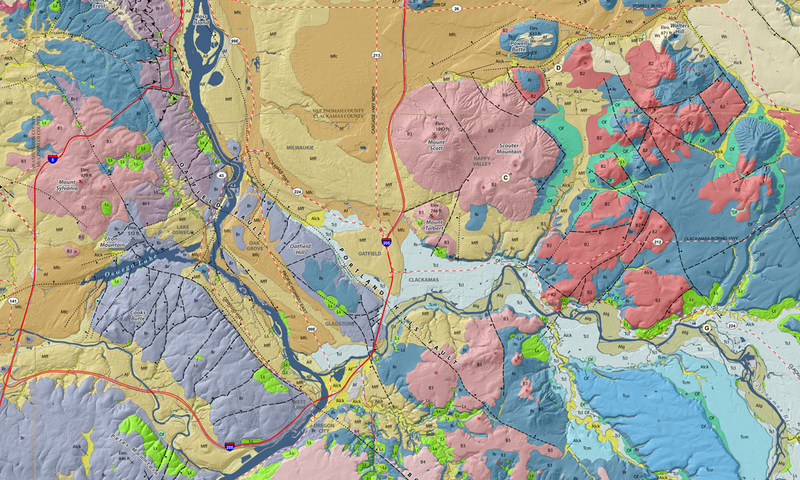 In addition to the main map, nine perspective-view images of prominent geologic features were featured at the bottom of the publication for added visual interest.